Was Edward Abbey A Mystic? 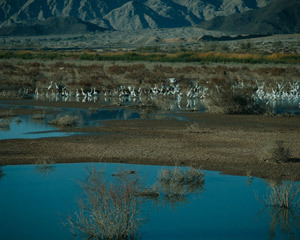 White Herons, Playa, Baja California, Mexico, copyright 1981 by Philip Hyde. In his biography of Edward Abbey, Adventures with Ed: A Portrait of Abbey , Jack Loeffler described traveling, friendship and working with Edward Abbey on various environmental campaigns. In one chapter Jack Loeffler told a story about exploring and car camping with the “Thoreau of the West” and his wife Clarke Cartwright Abbey on the west coast of Mainland Old Mexico. “On a dirt road that extended from El Desemboque to Kino Bay,” Jack Loeffler and Edward Abbey made camp. The moon was bright. The air was warm. There was no wind. The conditions were ideal for a nighttime stroll near the Straight of Hell. We spoke very little for the first mile or so. We finally crossed the main north-south road and followed a trail continuing east. We were able to walk abreast and listen to the night sounds. We stumbled along the trail for a bit. “It’s ironic, when I was in college, I was one of the two professed atheists on the campus. It took me years to realize that my sense of atheism was mostly the result of semantics. I certainly didn’t and don’t believe in an anthropomorphic god in any biblical sense. It seems that somehow I’ve intuited the presence of some principle or urge that the English language, at least, isn’t prepared to define. I suppose any religious feelings I have stem from the way I feel about the Earth and about consciousness. I’ve suspected for a long time that the planet is the living organism and that life is the way the planet perceives. We’re just a step along the way. Humans, I mean. We’re really not all that important when you think about it. “Can you describe what happened back then?” I asked. Comala Church Interior, Comala, State of Colima, Mexico, copyright 1995 by Philip Hyde. 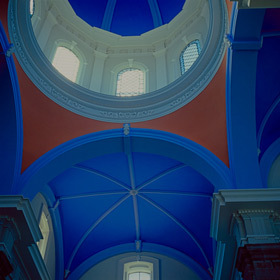 This medium format photograph is a raw high resolution scan file, not yet post-processed for printing. Ardis, David and Philip Hyde traveled to Baja California, Mexico with trip leader and photographer Terrence Moore and assistant leader Tom Pew in 1973. The purpose of the journey was to seek out the wildest places on the Baja peninsula that could be reached by four wheel drive vehicle. The year 1973 will always be significant to Baja California wilderness history because that year the Mexican Government completed all pavement sections of the main road from Tijuana and Mexicali on the California, United States border to the end of the 800-mile Baja peninsula at Cabo San Lucas and Cabo Falso. In 1973, Cabo San Lucas was still mainly wild, while today it is a tourist mecca and resort destination. See Philip Hyde’s well-known black and white photograph of Cabo Falso compared with the beaches at Cabo Falso and Cabo San Lucas today. Outdoor Photographer Terrence Moore had been an expert for decades on Baja California, Mexico. Terrence Moore knew the roads, the missions, the towns, the beaches or playas, the Mexican people and the Spanish language. 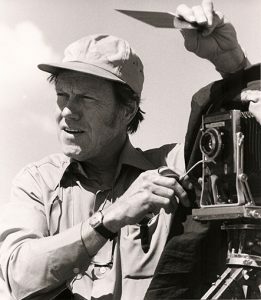 Tom Pew was also a long-time Baja California explorer, long time Southwestern US explorer and the publisher of American West Magazine when it was about all aspects of the Southwest, particularly the arts of the Southwest, as opposed to after 1989 when he sold American West Magazine and it became solely a cowboy Western magazine. The 1973 four-wheel-drive wilderness camping trip down Baja California began in Yuma, Arizona where Ardis, David and Philip Hyde met trip leader and photographer Terrence Moore, as well as assistant leader and publisher Tom Pew and the rest of the participants in the group. They all set out in the Hydes’ Toyota Land Cruiser Wagon and two Chevrolet Blazers down the Gulf of California coast from Mexicali to San Felipe to Puertocitos, Bahia San Luis Gonzaga, Calamujue, San Borja Mission, Bahia de los Angeles, Bahia de la Giganta, San Javier Mission, Punta Conejo, La Paz, Cabo Pulmo and finally to Cabo San Lucas. On the return up Baja California, back to the US, the Hydes traveled without the group back to La Paz and then on to Commandu, Bahia Concepcion, Rancho Rosarito, Rancho Jaraguay, El Rosario, San Ysidro, Baja and finally to San Diego, California, USA. For more about the 1973 Baja California trip stay tuned for future blog posts. The 1973 wilderness camping trip began Ardis and Philip Hyde’s love affair with Baja California, as well as their love affair with Mexico. The Hydes returned to Baja California in 1981, 1984, 1988, and in 1995 with Jack Dykinga and Susan and Tom Bean when Ardis Hyde was nearly 70 years old and Philip Hyde was almost 74. In 1980, Ardis and Philip Hyde visited mainland Mexico. They traveled by air from Sacramento, California to Guadalajara, Mexico, rented a car and drove to Patzcuaro Michoacan, Mexico and Colima. Near Colima they re-discovered Rancho El Balcon, where Ardis Hyde’s Grandparents and her father’s family lived for nearly a decade in the early 1900s. Ardis and Philip Hyde attended an Audubon seminar at Cobano, visited Cuyatlan Lagoon, Manzanillo and Volcan de Colima before flying back to the US. More on this trip in future blog posts. The photographs in the “Old Mexico And Baja California Color Portfolio” on PhilipHyde.com represent a cross-section of the places Ardis and Philip Hyde visited in Mexico and Baja California. The portfolio as you see it is just beginning and currently incomplete with many of the images remaining in raw high resolution drum scan form, not yet post-processed for archival fine art digital printing. Also, only 12 photographs out of 18 to 20 are now available for viewing even in raw form. Many more Mexico and Baja California photographs will be drum scanned, post-processed and made available as archival fine art digital prints. Please stay tuned. 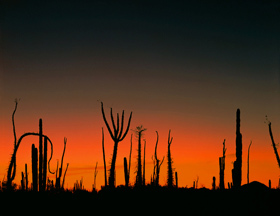 Cirios Silhouettes At Sundown, Baja California, Mexico, 1984 by Philip Hyde. 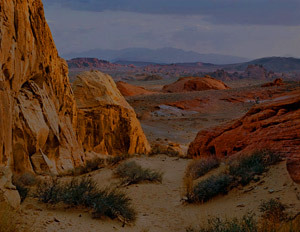 This photograph appears on the title page of the March 2011, Issue 12 of Color Magazine, along with 14 other photographs in the feature article. At home I have three file safe drawers full of clippings of articles either by or about my father master landscape photographer Philip Hyde. The article files start in 1947 and keep going right past Dad’s passing in 2006, up to the present. 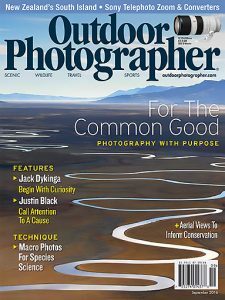 A recent issue of Outdoor Photographer contained a well-written feature about Point Reyes by Sean Arbabi that mentions Dad’s photography there, along with that of Ansel Adams, Brett Weston and other great landscape masters. The piece even mentioned that my father’s photographs helped to make Point Reyes a National Seashore. That was one of the better articles. A few of the articles in my file safes about Dad are excellent. Some even from the very best magazines are riddled with inaccuracies and misconceptions. The majority are essentially mediocre in that they don’t dig very deep or say much that hasn’t been said before. The majority of writers just don’t make those one or two extra phone calls that turn the article into a multi-source story with more dimension. This is mainly because publishers don’t pay writers much for their submissions any more. With this backdrop, imagine the unfortunate freelance writer, David Best, also a photographer in his own right and known as Panoramaman, writing me and telling me he wants me to review his rough draft for his feature on Philip Hyde for Color Magazine. 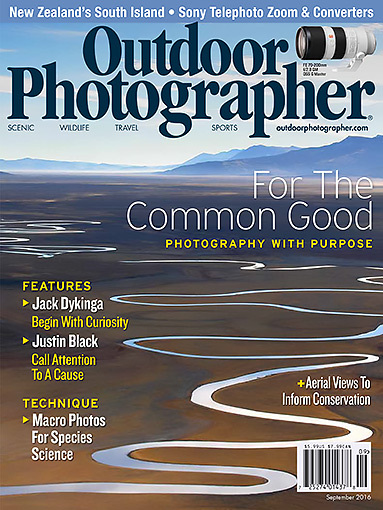 Color Magazine is one of the most respected photography magazines today, especially for collectors of fine art photography, along with Black and White Magazine, both published by Ross Periodicals. All along Color Magazine planned to do a feature article on Philip Hyde, but they did not want it to follow too soon after their article on Eliot Porter. David Best interviewed me over a year ago. I thought he asked excellent questions in the interview. It went very well. Then he sent me his article. I warned him I would beat him up on the details. To my pleasant surprise his draft did a wonderful job of capturing the essence of Dad’s love of nature, while also presenting the story of his landscape photography career in a quality, smooth-flowing narrative that showed a fine dexterity with words. I did beat him up to make sure the facts were straight. I’m not sure he was very happy about it, but I went on to also give a hard time to the friendly, conscientious editor John Lavine to get the facts correct too. He said David Best took it all in stride. Regardless, between David Best’s superlative prose and the layout and photograph selection by John Lavine, in my opinion the final article is one of the best ever written about Dad, which is saying a great deal considering there are 63 years of articles in my file drawers. Do yourself a favor and go out to the bookstore or newsstand and grab your own copy of this excellent magazine. The current issue with Philip Hyde in it is Issue 12, March 2011. It will be on retail shelves through March, but I wouldn’t wait because every time I have gone to get Color Magazine it has been sold out.